It is the best example that I have come across of its type, all the drawers are serpentine shaped with slightly raised brass escutcheons. 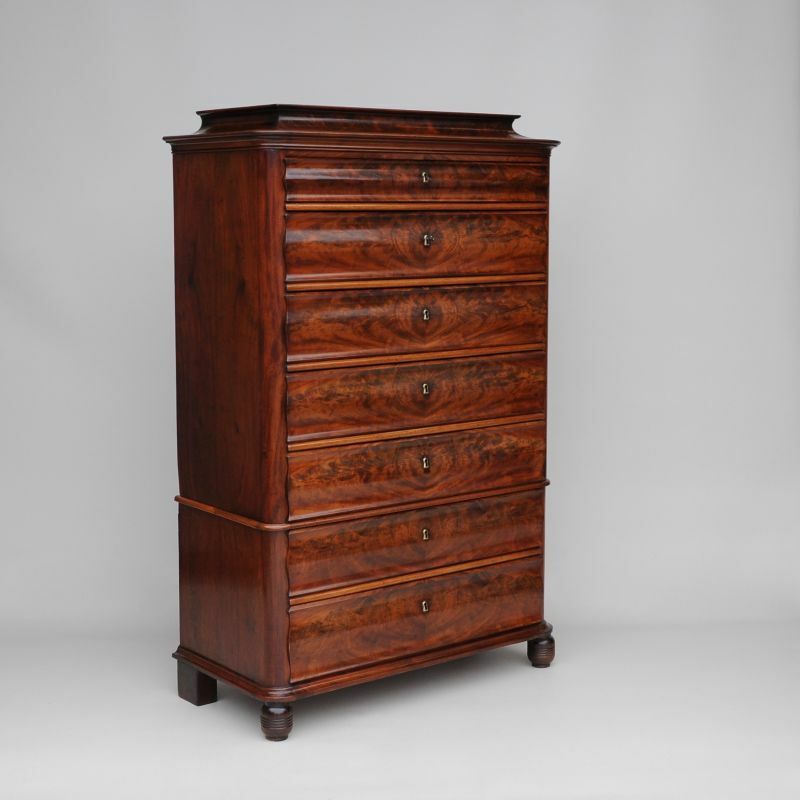 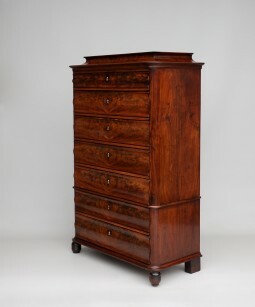 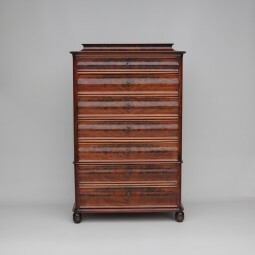 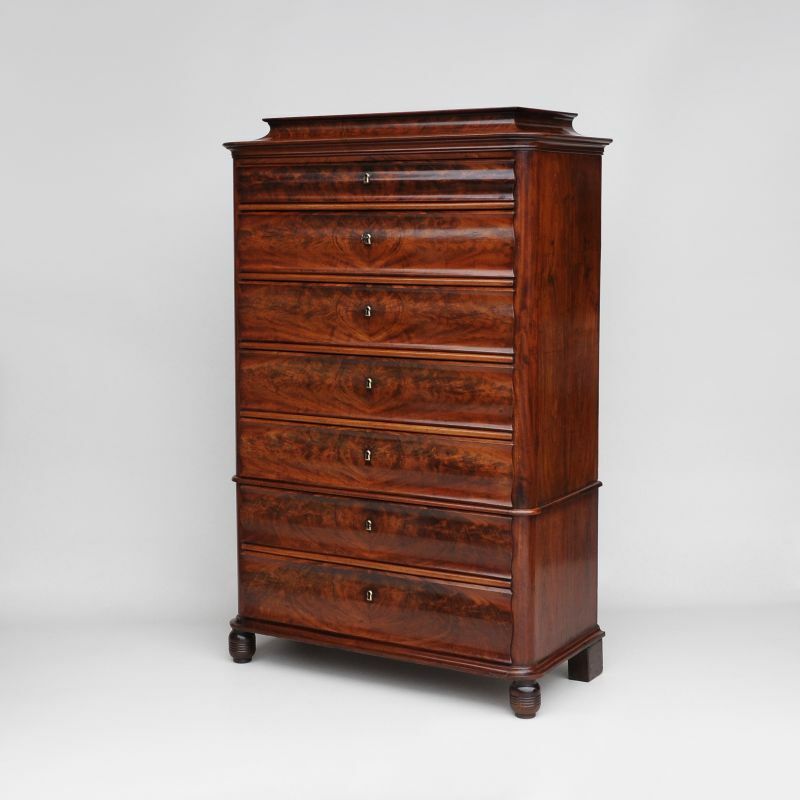 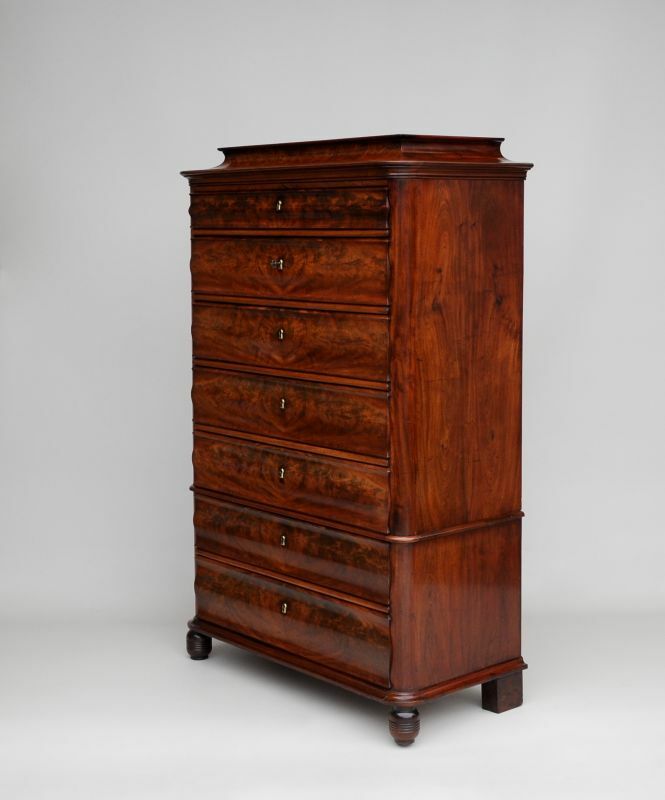 A very practical piece of furniture with plenty of storage, but also very attractive with its clean lines and uncluttered look, this is a 19th century piece of furniture that would fit well in a contemporary setting. 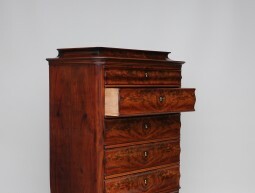 The chest sits on turned feet at the front and block feet at the back, this is quite typical for Northern European furniture. 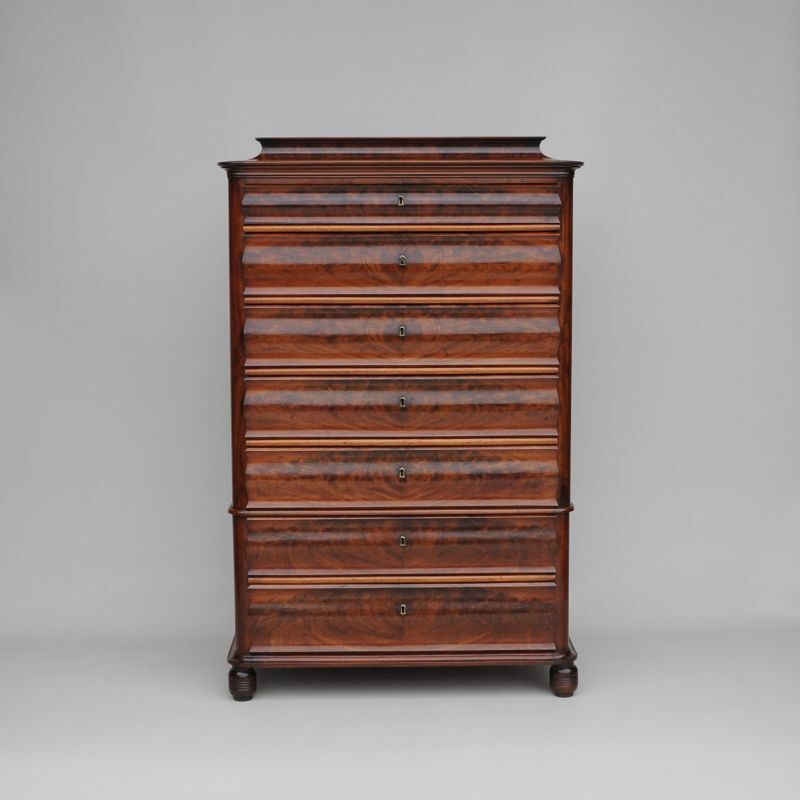 The measurements are 103 cm wide, 51 cm deep and 161 cm high.